I took a week off of weigh in during the holidays mostly because my group is near my place of work rather than home so I decided to leave off the weigh in on December 30th. Since my last post I received my 1 stone award which I was delighted to have reached by Christmas, it took me 6 weeks! However it's now back to normal for me now and I am back into my normal weekly routine along with an updated Slimming World book and a new speedy plan that you can do for a week to boost a bit of extra weightloss. It seems to focus on the speedy free foods and foods high in protein. 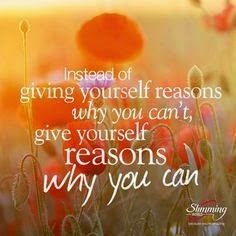 I haven't looked at the new plan in detail yet but once I am back into my Slimming World plan in full swing I will be giving it a try. I will be starting as new again this week, filling in my food diary to get me back on track because once I had been doing things the Slimming World way for a couple of weeks it was second nature so need to get back into the zone fully. I was actually excited to get back to group yesterday because I need that weekly motivation of weighing in and I've been absolutely loving the feeling of seeing the scales go down each week. I was able to stay for the group talk last night, something as I've mentioned before I don't have the opportunity to do always but will hopefully make it to another couple of group talks over the next few weeks. I find them quite inspirational and you can always pick up a few helpful hints and tips from other members too. Total amount of weight lost in 9 weeks: 11.5lbs which means I gained 3lbs over the 2 week Christmas holidays. The gain I had expected and expected more to be honest but I think it just goes to show that even the small changes that you make in Slimming World like the ones I'd mentioned above in my staple items can have such a positive long lasting effect on you. As always I'd love to hear about any weight loss journey you may be on so feel free to share.